DIY Mobile Phone Repairing Guide – If want to learn DIY guide to repair and fix your mobile cell phone and home then this is the right website for you. Mobile phone repairing is a DIY job if you know the basics and have the required tools and equipment. Anyone with basic knowledge (as provided on this free online website), can repair any mobile phone at home. Anyone can DIY do it at home without having to take the mobile phone to a service center. 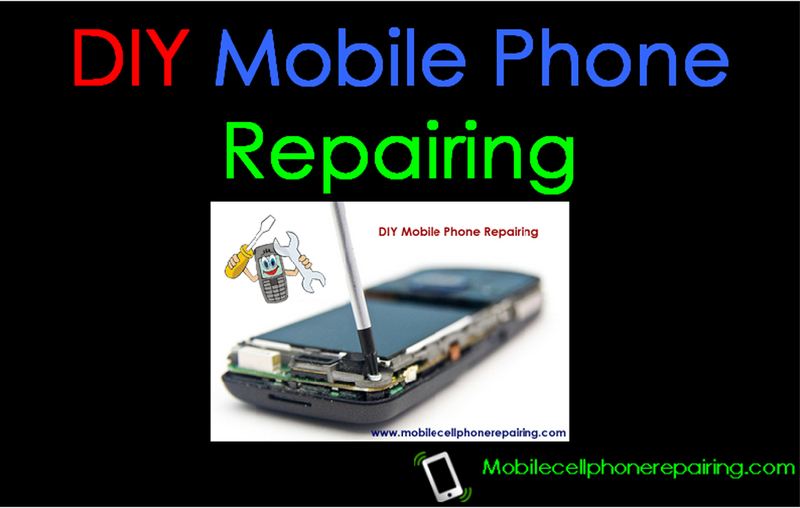 If you are interested in learning DIY mobile phone repairing and fix your own or any other mobile cell phone then this is the right place and website for you. Most mobile phone repairing and fixing jobs are easy to do at home with some basic knowledge, repairing tools and some tutorial, tips and tricks. The secret behind repairing any mobile phone is disassembly and assembly of a handset. If you can learn how to use a multimeter and dissemble and assemble back a mobile phone, you can easily do most mobile phone repairing at home. Another secret to mobile phone repairing is that many problems can be fixed by simply cleaning and servicing. If any part or component is faulty, it has to be either re-soldered or replaced which is very easy. Here I explain step-by-step process on how to repair any mobile phone. The same steps apply for all brands of mobile phone including – Samsung, China Mobile Phones, Motorola, HTC, Sony, Alcatel, LG, Panasonic, Huawei, ZTE, Spice, Lava, Sony Ericsson, Micromax, iPhone etc. Explore across this website to learn mobile phone repairing tutorial. You will find details guide, videos, PDF book and photos and diagrams. With little learning and patience, anyone can repair and mobile phone. It a beautiful course I understood so many things. keep it up!